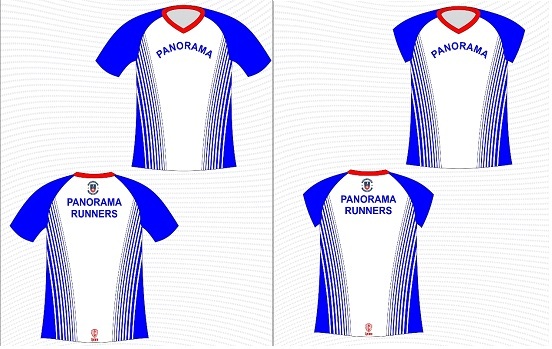 Our club colours are Royal Blue stripes, red trimming and white. White T-Shirt to be worn under vest in cooler conditions. Men’s and ladies T-shirt and vest sizes available: Small, medium, large, Extra Large etc. All shirts are standard t-shirt sizes. 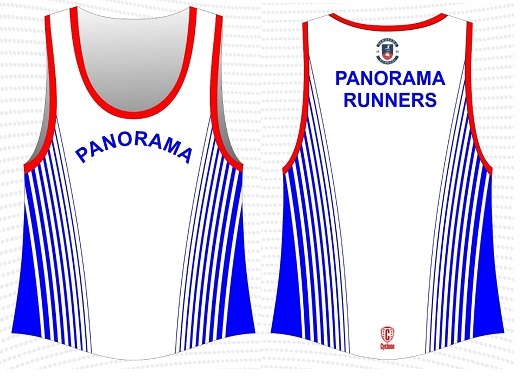 Club Kit is available directly from the club. EFT PAYMENT ONLY – NO CASH. Full payment is required and your required size. 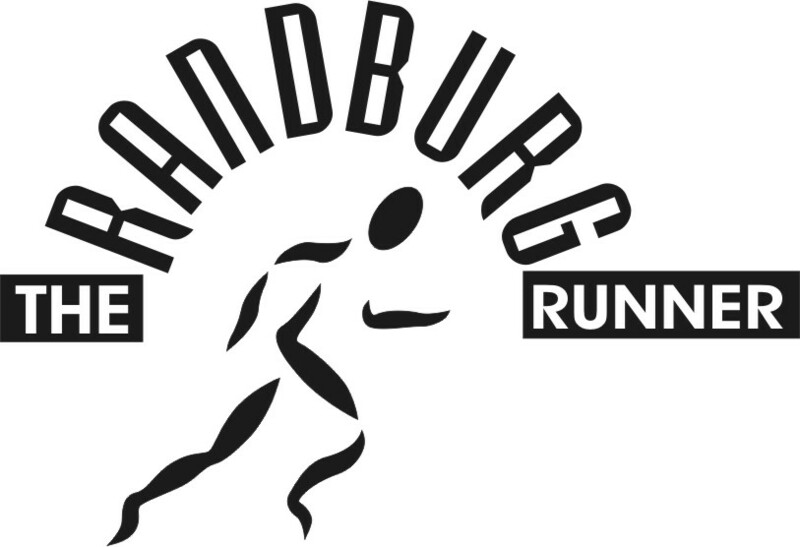 Email Cynthia at secretary@panoramarunners.co.za with your order with a copy of your proof of payment. Please note: We order in small bulk only. If we do not have your size when ordering, we will place your order with the next bulk order. Manufacturing will take 17 working days when the next bulk order takes place. Collection of kit orders will only be at time trials only on Thurdays.